The trial and resolution of the 16 year old teen whose accident resulted in the deaths of four people is still a major topic among us. I am not young anymore, but I once was. Back in the day, I logged many miles under the influence. It was different then with respects to the volume of traffic we have today. The point I want to make is that the 15 year old didn’t do anything different from most young men except for the fact that his intoxication caused the death of four people. I will not speak to the tragedy of the loss of life and sorrow suffered by the families of the victims. No, as heart rending as the tragedy was to them, I want to speak out about why it was important to not sentence that boy to prison. To begin with, intoxication causes behavioral changes. Being intoxicated blurs judgment, reaction, and coordination. There is also the problem of personality adjustment that sometimes accompanies intoxication. Normally docile people can become boisterous and obnoxious. The changes to a person who is intoxicated are well documented with most aberrations commonly known. Most of the feedback against the judge who decided the fate of the 16 year old fell into two categories. The first was aimed at revenge, the second; setting an example for future ‘would be’ drunk drivers. Revenge is one of those actions that ‘evens the score’ for those who were most affected by the tragedy. A person can’t help but feel for those whose loved ones were taken for no other reason than being innocent victims. I know that it is somewhat cold to say this, but nothing the state could do to that boy would bring those victims back. Scoping out for a broader picture, we have to look at society and the general acceptance of alcohol consumption. Consuming alcohol is strongly associated with pleasure. The thing to do when you want to meet with friends or make new ones is to go to a bar. If you attend a party, you can safely bet that there will be alcoholic beverages to ‘lighten up’ the party. We are bombarded with the message that the only way to enjoy a sporting event is by drinking beer. Beer is sold at most sporting events. In other words the social message everyone receives is that life is just more enjoyable if we just consume alcohol. But along with all the fun from drinking comes the problem of intoxication. I maintain that a drunk who has a wreck is no criminal; there is no malice or intent to do harm. We live in a permissive society that encourages drinking for pleasure. Socializing with alcohol is a de facto standard. Turning 21 is a highly anticipated event for a young person. Twenty-one is the age when a person is recognized as an adult and expected to take their place as a responsible citizen. One of the privileges of adulthood is the ability to buy and consume alcohol. Being able to legally consume alcohol is looked upon by the young as a major event in their life. How many of you can remember the anticipation of turning 21? In the case of the irresponsible young teen, his parent’s income was well above average and they did a poor job in monitoring their son’s activities or teaching him about life’s pitfalls that can arise from reckless behavior. He was not schooled by his parents in the importance of self-discipline, so he pretty much did what he wanted. 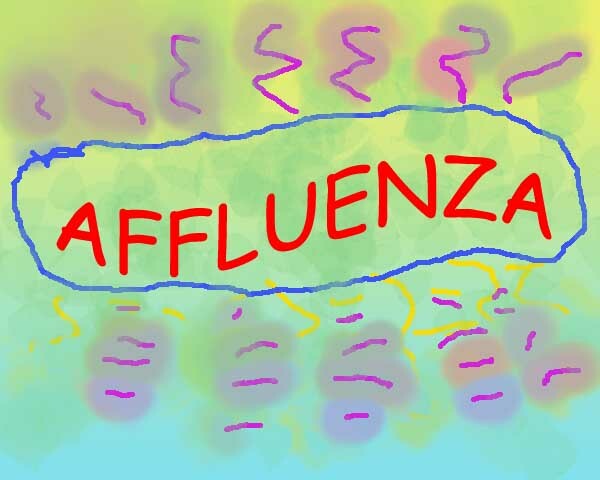 Affluenza needs no explanation. It may not reside in the halls of accredited diseases, but is another way of expressing the term “spoiled brat”. He is not a criminal in the sense of intent but may, with a little help, yet be salvageable. The judge was faced with the option of sending him to prison where he would undoubtedly develop negatively because of his age… or not add to the casualty list yet another tragedy to the list of tragedies already being suffered. I would argue that there are merits to setting an example, but with that said; it is doubtful if those already at risk would heed the warning. Hopefully, the boy’s parents will have learned a lesson from this tragedy and that other parents will also learn from this tragic event. The real crime in this whole episode is poor parenting. I whole-heartedly support restitution for the victims making it abundantly clear that parents everywhere will be made responsible for their children’s actions. Restitution would also be a remedy for the victims’ loss of any income or expenses derived from such tragedies. My wife has suggested that the enablers who provided the sixteen-year old boy with alcohol should also be held responsible. Hitting them in the wallet would go a long way towards convincing others to not give alcohol to minors. Her point is specifically aimed at the friends of the minor who were old enough to buy booze and either bought some for, or shared the booze with minors. Parents can also have booze in their homes that the minor can pilfer. Her viewpoint stresses that without consequences, we will all pay the price for future tragedies. This writer thinks the judge got it right. We as a society are very lucky there aren’t more episodes of this nature because of the prevailing systemic attitude about alcohol consumption. When we quit treating drinking with reverence, and stop allowing drinking from being a rite of passage, then we will have made progress. In closing, I want you to at least think about criminal justice. Justice is not some tactic to ‘get even’. Criminal justice is the determination of guilt or innocence and punishment for purposeful acts. Not all accidents are criminal, but rather the sad result of unintentional consequences arising from poor judgment. It makes sense to not criminalize unintentional acts. Civil courts do a pretty good job at ‘leveling the playing field’ for non-criminal acts. A special thanks to the previewers of what I write. I use a lot of their suggestions. I often rewrite these articles upwards of five to six times. It should also be noted that all six of those with suggestions thought that the teen should have been given a heavier sentence, with only one suggesting the use of civil suits.